Hyperinsulinemia plays the dominant role in provoking obesity and fatty liver disease, but what causes it? Insulin is intimately related to our diet, so that was naturally the first place to look. Highly refined and processed carbohydrates, such as sugars, flour, bread, pasta, muffins, donuts, rice and potatoes are well known to raise blood glucose and insulin production. This became known as the carbohydrate-insulin hypothesis, and forms the rational basis for many of the low carbohydrate diets such as the Atkins diet. These are not new ideas, but very old ones. The first low carbohydrate diet dates all the way back to the mid 19th century. William Banting (1796–1878) published in 1863 the pamphlet Letter on Corpulence, Addressed to the Public, which is often considered the world’s first diet book. Weighing 202 pounds (91.6 kilograms), Banting had been trying unsuccessfully to lose weight by eating less and exercising more. But, just as today’s dieters, he was unsuccessful. On the advice of his surgeon, Banting tried a new approach. He strenuously avoided all breads, milk, beer, sweets and potatoes that had previously made up a large portion of his diet. William Banting lost weight, and successfully kept it off. For most of the next century, diets low in refined carbohydrates were accepted as the standard treatment for obesity. For all the success of low carb diets, the carbohydrate insulin hypothesis remains incomplete. High dietary intake of refined carbohydrates is an important contributor to high insulin levels, but not the only contributor. There are many other significant influences. For this, we need to understand insulin resistance. Insulin acts like a key to open a gate for glucose to enter the cell for energy. In the insulin resistance state, normal levels of insulin no longer open this gate and glucose piles up outside in the bloodstream. To compensate, the body produces more insulin to ‘overcome’ this resistance and force the blood glucose inside the cell. This normalizes blood glucose levels at the cost of persistent hyperinsulinemia. We care about insulin resistance so much because this hyperinsulinemia will drive overall weight gain. But how does this insulin resistance develop in the first place? Type 2 diabetes is a disease of high insulin resistance. Obesity typically precedes the diagnosis of type 2 diabetes by a decade or more, so many presume that obesity itself causes insulin resistance. Decreased insulin resistance often accompanies weight loss. Insulin resistance gradually increases with obesity and further with pre-diabetes and type 2 diabetes. Obese, but otherwise normal (non-diabetic) patients have substantially increased insulin resistance compared to lean patients. Insulin resistance increases as you progress through the spectrum of obesity, pre-diabetes and then type 2 diabetes. Understanding how obesity actually causes insulin resistance proved difficult. The first suspect was elevated fatty acids in the blood, which are increased with obesity. Insulin activates LPL, moving those fatty acids into adipocytes for storage. Fatty acid levels should not stay high unless insulin is not working properly. In other words, insulin resistance causes high fatty acid levels, rather than the other way around. This is reinforced by the fact that infusions of free fatty acids into the blood do not raise insulin resistance. So, if fatty acids were not the causal factor, what was? Adiponectin, involved in fatty acid oxidation, was identified in 1995. However, the role it plays in obesity and IR is still unknown. Resistin, discovered in 2001, was given its name in the mistaken belief that it was the long-lost hormone that caused insulin resistance. Other factors such as interleukin-6, tumor necrosis factor, retinol-binding protein 4 and plasminogen-activating factor has all been investigated as a contributing hormone, but all have been found inadequate. Unable to find the hormonal mediator of insulin resistance despite 35 years of intensive and dogged research, it is best to consider that perhaps obesity does not cause insulin resistance. After all, obesity and insulin resistance can be related in three possible ways. First, obesity might cause IR. However, this does not explain the importance of central obesity, or how type 2 diabetes can develop in normal weight patients. 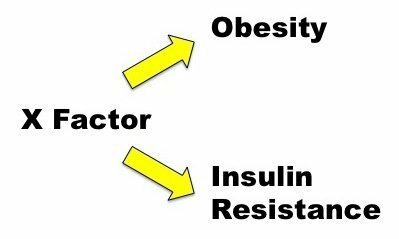 Insulin resistance may cause obesity, but this is unlikely since obesity typically pre-dates insulin resistance. Decades of intense research yields no definitive proof exists that either is true. A third, more likely possibility exists. The same fundamental root cause may underlie both obesity and insulin resistance and possibly other closely associated diseases. 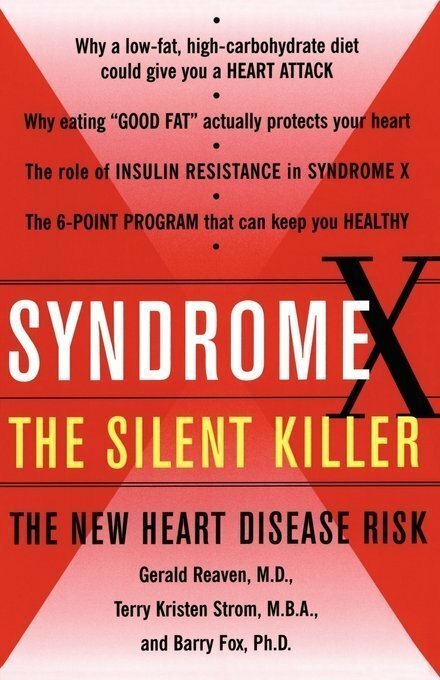 The past twenty years had identified syndrome X, now known as the metabolic syndrome (MetS). Our understanding of the metabolic syndrome began in the 1950s, when high triglycerides were noted to be highly associated with CV disease. In 1961, Dr. Ahrens showed that this abnormality was primarily related to excess dietary carbohydrates rather than dietary fat, as widely expected at the time. Around the same time, early insulin assays confirmed that many people with relatively minor blood glucose elevations had severe hyperinsulinemia. This was understood as a compensatory mechanism to the elevated insulin resistance. In 1963, the observation that patients with heart attacks often had both high triglycerides and hyperinsulinemia first linked these two diseases. High blood pressure (hypertension) was associated with hyperinsulinemia as early as 1966 (9). By 1985, researchers showed that much of essential hypertension, so called because the underlying cause had not been identified, was also closely associated with high insulin levels. By the 1980s all the essential features of metabolic syndrome were identified and established – central obesity, insulin resistance, dyslipidemia (high triglycerides and low HDL) and hypertension. Dr. Gerald Reaven of Stanford University introduced this concept of a single syndrome in his Banting Medal address of 1988, one of the highest profile academic lectures in all of diabetic medicine, calling it ‘Syndrome X’. The ‘X’ moniker was chosen since it is commonly used in algebra to denote this single unknown variable, emphasizing that this syndrome shared a common underlying pathophysiology as yet unknown. These were not all individual risk factors, but one unified, critically important syndrome. Each additional component of metabolic syndrome increases the risk of future cardiovascular disease. The metabolic syndrome identifies patients with shared group of risk factors that all have a common origin. Insulin resistance, central obesity, high blood pressure and abnormal lipids all reflect a single underlying problem, the unknown X. While obesity is commonly associated, the metabolic syndrome could also be found in approximately 25% of non-obese individuals with normal glucose tolerance levels. High levels of Low Density Lipoprotein (LDL or ‘bad’ cholesterol) are pointedly NOT one of the criterions of the metabolic syndrome. Many doctors and professional guidelines obsess about LDL, and resort to prescribing statin medications to lower it. High LDL is not part of constellation of the metabolic syndrome, and may not have the same origins. The prevalence of metabolic syndrome in the United States varies from 22% to 34% depending upon the specific criteria. This is not a rare disease, but instead one that affects close to 1/3 of adult population of North America. This constellation increases the risk of heart disease by almost 300%. Metabolic syndrome also increased the risk of stroke, cancer, NASH, PCOS, and obstructive sleep apnea. Even more worrisome, this MetS is increasingly being diagnosed in children. Recent research has supported and extended this concept of a single syndrome with a common cause. Other metabolic abnormalities, including endothelial dysfunction, increased inflammation, sympathetic tone and coagulation have been noted. All the major diseases of the 21st century were all related to a common cause. But what was it? Insulin resistance became established as the central, essential feature of the metabolic syndrome. For this reason, the name Insulin Resistance Syndrome has also been applied and the hyperinsulinemia is understood as a compensatory mechanism. But this does not further our understanding. 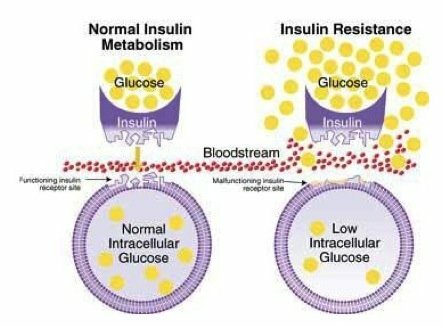 If insulin resistance causes syndrome X, what causes insulin resistance? Dr. Reaven hypothesized that chronically hyperinsulinemia was not so innocent. Hyperinsulinemia may cause hypertension through salt and water retention. Hyperinsulinemia stimulates triglyceride synthesis in the liver, which are secreted into the bloodstream as VLDL. Hyperinsulinemia causes obesity. Hyperinsulinemia was causing insulin resistance. Fantastic explanation of the deduction of the causal factors associated with T2 diabetes. Understanding how the system works and issues that arise within it really helps to motivate me in taking the steps necessary to lose the weight I need to. FInding your work and reading your articles has given me a new lease on life. Off Topic .. but ..
Dr Fung have you tried dry fasting? Have you thought about writing about dry fasting? Yes, I would like to hear Dr. Fung’s thoughts on dry fasting as well. You can go on dietdoctor.com, in the “ask the experts” section, and ask your question directly to Dr Fung. He has a section dedicated to him on that website. I’ve done it myself and was very pleased at quality of his answers and timeliness, too. He talks about it in his latest book and doesn’t recommend it. Interesting .. thanks .. haven’t read his new book. From what I’ve read so far at Dr. Fung’s old book & blogs and other Doctor’s recommendation re: fasting, the difference between Water Fasting to Dry Fasting is the same as Healthy Fasting to Starvation. Depending on the length of fasting, dehydration can set in and that’s not where you want to be. So how do people eat high carb vegan diets and are skinny and healthy? While some people can eat a high carb vegan diet and remain skinny (and maybe healthy, maybe not), not everyone can. It all depends on your degree of insulin resistance. Dr Fung actually talks about this in Obesity Code. This is one factoid that led him to believe it is not solely eating processed foods that is unhealthy but rather the persistent and high insulin levels. Consequently, one should not eat between meals as those of us baby boomers remember our mothers (yes, back then we were raised by our parents) disallowing snacking as it would spoil our appetites. i’ve read many vegans who complain that they think they are eating a good diet but continue to gain weight. Its all the degree of insuling resistance, same as some people can get better with lchf diets , others have to fast short periods, very resistant people have to do long fasts. These posts bother me because they isolate a problem or highlight one but then don’t offer a solution. Perhaps there isn’t one, but that would be good information also. I feel like we’re getting half the story here. If it’s all unknown does that mean our efforts to lose weight are futile since we’re not treating the underlying Syndrome X? If you are eating Low Carb and/or Fasting, you ARE addressing the underlying Syndrome X. When you lower your insulin levels, you lower your chances for Syndrome X and the diseases associated with it. Exactly! The ‘X Factor’ is hyperinsulinemia. Treat that and you treat the syndrome. Maybe you did not read the last line in the post: “High insulin causes insulin resistance”. To reduce it, read Jason’s earlier great posts. Intermittent fasting -IF- seems to be the quickest lasting way to get results. But also reduce carbs and insulinogenic foods and increase healthy fats like butter and coconut fat that do not easily become rancid. The “glycemic index” is close, else google “insulin index”. Start eating more fats before IF as it makes it easier to fast. I agree. It doesn’t mention what you do about syndrome x or really if the know the cause. I did a little digging and found out that a specific gene mutation may be the ultimate cause. This gene mutation causes inefficient processing of certain chemical signals which effect your ability to do certain things. I.end. detox for instance. Then that overload of toxins doesn’t let the body function normally leading to insulin resistance. But the cause may be different for different people. Wondering why a fasting insulin level isn’t ordered more often by physicians. Wouldn’t that be a clear marker of insulin resistance? Thanks for taking the time to share and pointing me in a better direction, Gary. A little googling quickly confirms the validity of your comments. Dr. Joseph R. Kraft’s book looks interesting: Diabetes Epidemic and You. I’m going to pull out the results of last lipid panel and calc TG/HDL; looks like anything over 2.75 deserves followup. BTW, heard anything about the time line for the new book by D. Ron Rosedale? Hey John, Ron is working on it and hoping for a Jan/Feb time frame. Great presentation by Tim Noakes M.D. Can metformin reduce blood pressure in patients who do not have a particularly elevated blood sugar level. I have BS level at circa 5.6, have normal weight (80kg at 6ft height) but BP of 150/90 and wondered whether metformin might help rather than other medication. One more Gem is out from your knowledge treasure. I am really getting educated here. The fact that gastric bypass resolves hyperinsulinemia very quickly might suggest there exists some kind of important cross-talk between intestine and pancreas/liver axis that regulates fasting insulin levels. While I did not check his sources, Gary Taubes in “Why We Get Fat” mentions how treatment for obesity in the early 20th Century consisted of placing patients on complete bed rest, and HFLC diets. This is remarkable, given the nutritional and physiological state of the art of that time? But it suggests a practical, results-based approach that was not influenced by special interests motivated more by profit, than seeking best practices for obesity treatment? I keep posting these articles on Facebook, hoping that some might read past the hype that commercialized health advice showers upon us? Sten, are you saying your fatty liver went away after a 5 day fast? Hi Dr. Fung. Great post. I’m curious about your thoughts on practical approaches to help prevent syndrome X in children. It seems reasonable to avoid snacking and minimizing consumption of sugars and processed grains. I’m concerned about any effect on growth and development though by implementing fasting of any significant duration. Anyway, I’d love to see a post on preventing childhood obesity. I’m a girl, 20 years old. 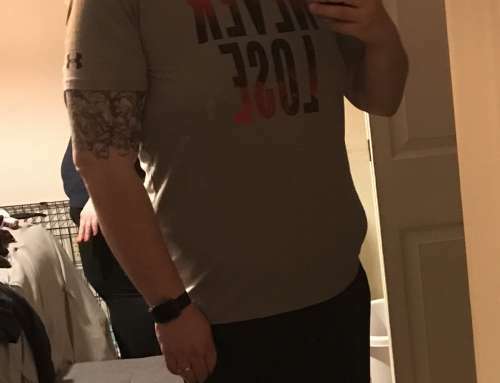 My goal is to lose weight (I’m about 90 lbs overweight) and also reverse my prediabetes (I’m not on any medication but i’m prettu sure I am borderline diabetic). I want to start doing 13h of fasting. I like to workout in the mornings. Is it best to do cardio while fasting, or after breaking the fast? Fasted cardio leads to muscle loss so..
And will fasted cardio have any effect on blood sugar? M, Rod’s quite right. I exercise a couple of hours before I end my fast, usually at the 16 hour point, and it’s surprisingly easy. I eat low carb and found fasting pretty easy because I’m not stimulating my appetite with sugar and refined carbs. Don’t fear high-fat food as long as the fat is natural. I don’t touch vegetable oils. @M: Kudos to you for being proactive. You’ve found the right Doctor and the right blog to help with your weight and health concerns! Read *everything* on this site–starting with the series on fasting. Save your money and don’t bother buying buying books. One of the things that you’ll learn early in your reading is that you don’t have much to worry about re: losing muscle from exercising in the fasted state. As you’ll soon see in your reading, many world class athletes actually prefer to exercise in the fasted state. So exercise away… and get started on your reading assignment! After a long period of fasting could a diabetic have paleo dieta Rich in startch vegetables, no startch vegetables, green leaf, fruits, Meat, ChicKen, fish, eggs?